God’s peace can be found in so many places. Some obvious places are the mountains, the beach, the front porch with a cup of coffee. We go to these quiet, restful places seeking peace. My favorite and most restful place to go when I’m feeling stressed is the beach. The beauty and magnificence of the ocean combined with a gentle breeze and the warm sun provide the perfect environment for me to do a complete brain dump. Once my head is clear of all the clutter I can sit for hours just taking in the beauty of God’s creation, resting and enjoying His peace. But God’s peace doesn’t have to begin and end there. 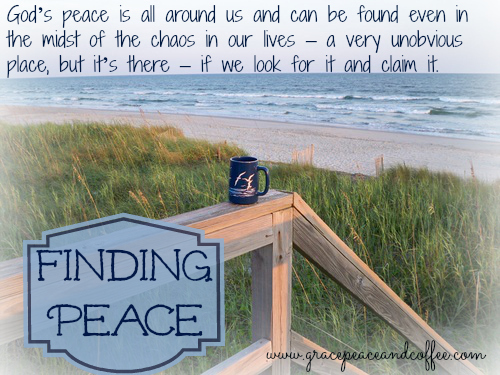 God’s peace is all around us and can be found even in the midst of the chaos in our lives – a very unobvious place, but it’s there – if we look for it and claim it. 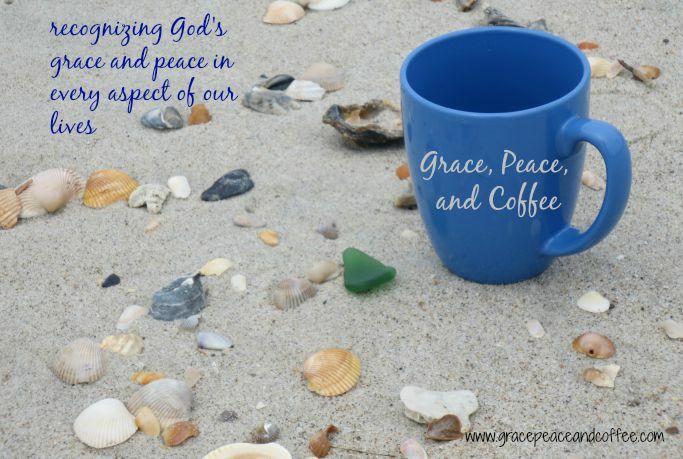 It’s so easy to get caught up in the busyness of our daily routines: getting the kids off to school, the busy office, telephones ringing, deadlines – that we allow the chaos to take over instead of turning to God and making His peace part of our daily routine. In John 14:27, Jesus tells us “Peace I leave with you; my peace I give you. I do not give to you as the world gives. Do not let your hearts be troubled and do not be afraid.” He doesn’t tell us He will only give us peace at the beach, nor does He place any other conditions on when His peace is available to us. Tears filled my eyes as I began releasing the turmoil that had built up inside of me. We find God’s peace when we surrender our chaos to Him.